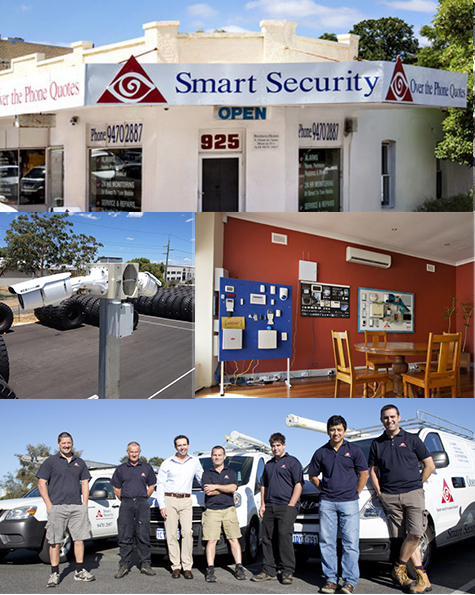 Smart Security has grown consistently over the last 20 years to become one of Perth’s leading security companies. Together, our dedicated teams of security system technicians, alarm system advisors andour 24 hour Security Control Room experts can offer the full range of security system and alarm system products and the range of services that few can equal. Come and visit our security systems showroom to view our range of cameras, alarm systems and other security products, and to see your chosen security system in action. You’ll soon discover the advantages you’ll get with the expertise of Smart Security’s security and alarm systems.